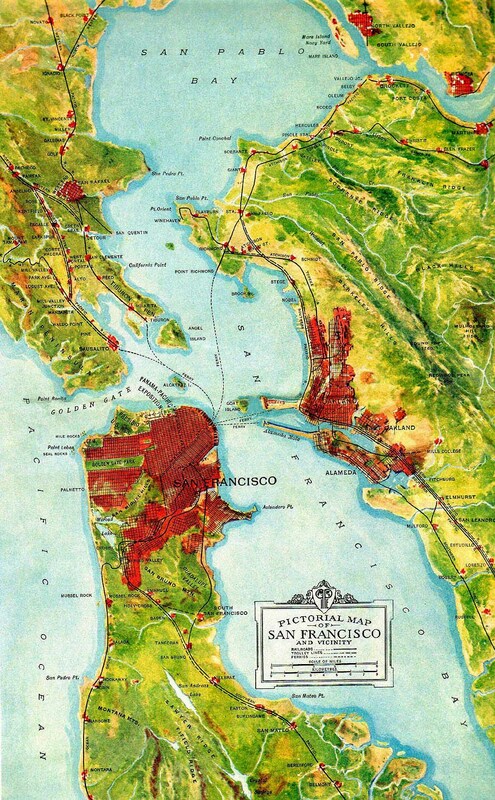 Map of the San Francisco Bay area by Everett E. Winchell from a 1913 booklet published by the Remington Typewriter Company to promote the then upcoming 1915 Panama-Pacific International Exposition which was held in San Francisco between February 20 and December 4, 1915. Map Courtesy of the Bruce C. Cooper Collection. Thirteen image E. Muybridge panorama of San Francisco from Nob Hill, 1878, presented to Mrs. Leland Stanford. Composite courtesy of Bruce C. Cooper. Thirteen image E. Muybridge panorama of San Francisco from Nob Hill, 1878, presented to Mrs. Leland Stanford. Annotated and rotated 180 degrees compared with above. Composite and annotation courtesy of Bruce C. Cooper. 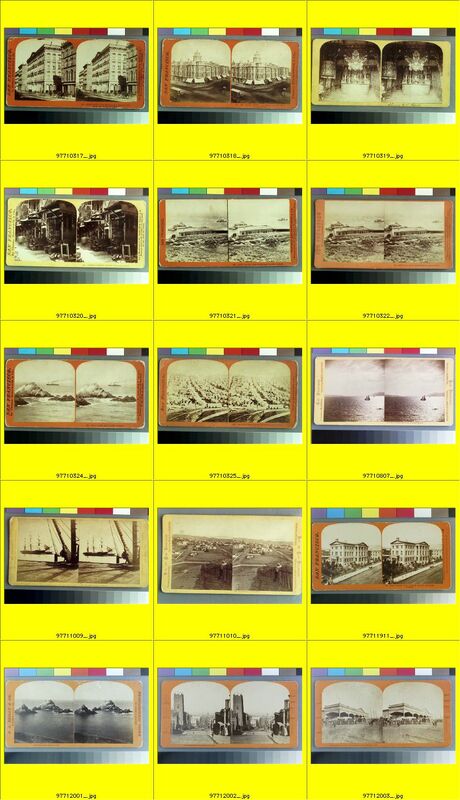 If you have Quicktime installed on your computer, you can view the Muybridge panorama of San Francisco from Nob Hill, 1878, as a 360 degree QTVR (QuickTime Virtual Reality) panorama! Composite and virtual reality panorama courtesy of Bruce C. Cooper. Map of the Vicinity of the Golden Gate: San Francisco Bay California. 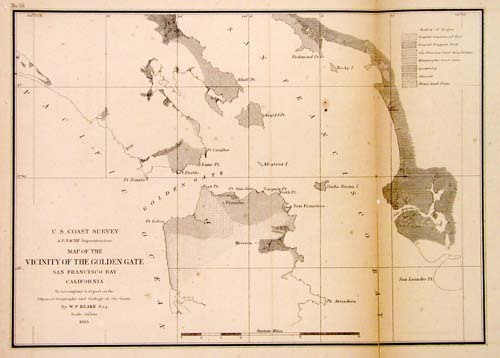 United States Coast Survey, 1855. 10" x 7 1/4". Courtesy Art Source International. You may need to use a different web browser to see the right side of large panoramic images.